Did you get yourself a Péckvillercher yet? If not, start your collection of them on Easter Monday, from the Eemaischen market in Nospelt or in Luxembourg City. 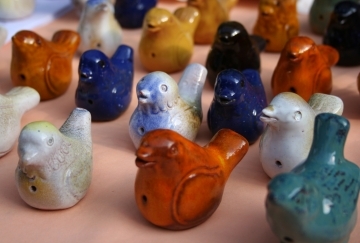 They are tiny bird-shaped clay flutes. In Bessières in the Haute-Garonne, on Easter Monday, 40 distinguished Knights of the Giant Easter Omelette make a giant omelette with some 15 000 eggs, cooked in duck fat. Germans have fun around the breakfast table on Easter Sunday, cracking the pointed ends of two hard boiled eggs against each other until one breaks. The owner of the last uncracked egg wins. Ostereiertitschen, a.k.a. –ticken, -düpfen, -ditschen, -tüppen,-kitschen, -pecken, -tütschen, -dotzen, -klöckeln, -kicken – is also on for Easter in Austria, the German speaking part of Switzerland, the Balcans, some parts of Russia and even in the UK. In Belgium, the Easter bells bring Easter eggs to the children. On Maundy Thursday, the church bells go silent (they’re off to Rome! ), but on Easter Sunday they make quite a comeback, dropping Easter eggs everywhere on their way. In some parts of Holland, Easter bonfires are lit in towns and villages, on hills or other high points (insofar as that’s possible in Holland), and to get a head start and the best bonfire, the gathering of firewood starts way before Easter. 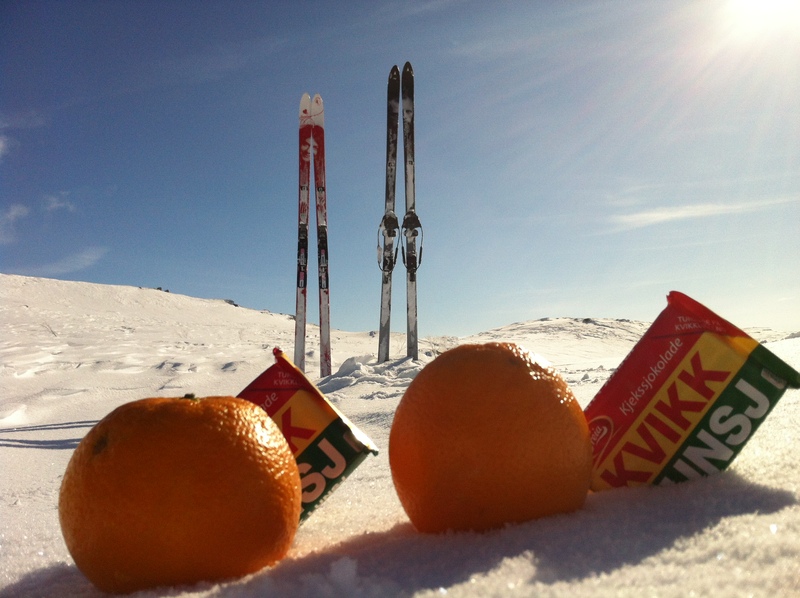 For Easter, Norwegians queue up to the mountains and their “hytte” (chalet), put their skis on, find a sheltered place in the sun and dig out the following from their backpacks: A mat to sit on, a thermos flask of non-alcoholic hot toddy, oranges, chocolate and a soft drink. But beware, there’s only one chocolate and one soft drink that count: Kvikk Lunsj has been the Easter chocolate par excellence since the 1930’s and the soft drink must of course be locally produced and yellow. Every Norwegian knows what is meant by “Easter weather” – it means you can ski but still smell the snow melting, plus you can get a tan. Ever since the early 18th century, children in Sweden and Finland dress up like Easter hags – påskkärringar – and go from door to door offering Easter cards they’ve made themselves in Sweden, and branches decorated with feathers in Finland. In return they get candy or a little gift, but in some parts of Sweden, the hags even offer the candy. Then you owe me a gift – what a shame! In Denmark, you send letters for Easter called gækkebrev. It’s an old tradition and the idea is that the recipient must guess who the sender is. If she does, she’ll get a gift from the sender, if she doesn’t, she’ll be the one offering the gift, traditionally a chocolate Easter egg. In Iceland they hide bits of paper with proverbs on them in the chocolate eggs – much like the fortune cookies. Cute! There’s no escaping the Holy Week – Semana Santa – with processions throughout Spain. But some places have somewhat special traditions during Semana Santa: In Castilblanco de los Arroyos, near Seville, they make Judas dolls, put them around town and set them on fire. In Tarragona in Catalonia, only women can be part of the Procession of Loneliness, and in Badalona, also in Catalonia, the candlelit procession is extremely silent. Hard to find an Italian Easter tradition that doesn’t involve food, but here goes – the exploding cart, the Scoppio del Carro. In Florence, a huge, decorated cart is dragged through town by white oxen to the Basilica di Santa Maria del Fiore. As soon as mass is over, the Archbishop sends a rocket shaped as a dove into the cart, igniting fireworks. In Leonido, mainland Greece, the Easter sky is filled with thousands of brightly coloured handmade hot air balloons. 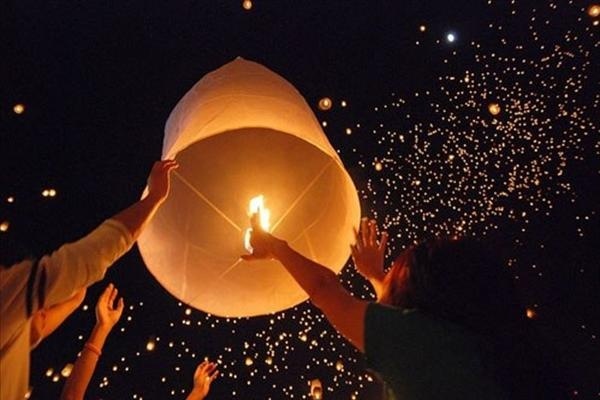 The balloons bring messages to God, and each parish wants to be the one with the most balloons and to keep them in the air for the longest period of time. Granted, this is after Easter, but still – it’s so strange that we’ll include it: On the second Tuesday after Easter, during a festival, a Hungerford police constable blows his horn calling all men to the town hall to elect two Tutti-men, who shall then carry a pole with an orange on top and a bunch of flowers (a tutti) tied to it with ribbons. The Orangeman will lead them through town and give women in the streets oranges in return for kisses. Strange indeed.